One of the leading composers and lyricists for the American musical theater during the past 30 years, Herman was playing piano by the age of six under the tuition of his mother, a professional piano teacher. After high school, he started to train as a designer, but had second thoughts, and studied drama at the University of Miami. By the mid-’50s, he was playing piano in New York clubs and writing material for several well-known entertainers. During the late ’50s and early ’60s, he worked on a number of off-Broadway musical shows, the first of which was “I Feel Wonderful” (1954), and had several songs in the revue “Nightcap,” which ran for nearly a year. He also wrote the book, music and lyrics [for] — and directed — “Parade” (1960), and in the same year contributed the opening number, “Best Gold,” to the short-lived “A to Z.” In 1961, after writing some songs for the 13-performance flop, “Madame Aphrodite,” he enjoyed his first real success with his score for the Broadway musical “Milk and Honey,” which ran for 543 performances. He had a smash hit three years later with “Hello, Dolly!” (“Before the Parade Passes By,” “It Only Takes a Moment,” “It Takes a Woman,” “Put on Your Sunday Clothes,” “Elegance”), which stayed at the St. James Theater in New York for nearly seven years. The show — with its Grammy-winning title number — gave Carol Channing her greatest role, and has been constantly revived ever since. In 1966, Herman had another triumph with “Mame,” which is generally considered to be his best score. Once again, there was a marvelous title song, which was accompanied by other delights such as “If He Should Walk Into My Life,” “We Need a Little Christmas,” “Open a New Window,” “Bosom Buddies,” and “It’s Today.” Since then, his infrequent, but classy scores have included “Dear World” (“And I Was Beautiful,” “The Spring of Next Year,” 1969), “Mack & Mabel” (“I Won’t Send Roses,” “When Mabel Comes in the Room,” “Movies Were Movies,” 1974), “The Grand Tour” (1979), and “La Cage aux Folles” (“Song on the Sand [La Da Da Da],” “With You on My Arm,” “I Am What I Am”). The latter show opened in 1983, and ran for 1,176 performances in New York. 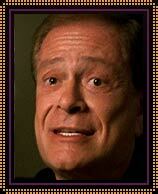 Herman won a Grammy for the “Mame” cast album, and Tony Awards for his work on “Hello, Dolly!” and “La Cage aux Folles.” There was some controversy when Herman’s “old fashioned” music and lyrics for the latter show triumphed over Stephen Sondheim’s typically contemporary score for “Sunday in the Park with George.” Herman has been inducted into the Theater Hall of Fame and the Songwriters Hall of Fame. The latter organization honored him with their Johnny Mercer Award in 1987, and in 1996, he received a lifetime achievement award from the Hollywood Press Club. Herman occasionally presents an evening devoted to his own songs, and many shows have been staged in tribute to him over the years, including “Jerry’s Girls,” which played on Broadway in 1986. 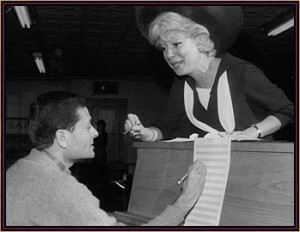 Jerry Herman and Carol Channing. In 1993, Herman left New York to live in Bel Air on the West Coast, but denied rumors of retirement, explaining that his 10-year absence had been due to lack of inspiration: “Nothing has come along that is fresh and interesting.” Revivals of his earlier works, with which he is usually closely involved, are constantly circulating. In the early ’90s, these included U.S. regional productions of “La Cage aux Folles” and “Mame,” as well as a 30th anniversary international tour of “Hello, Dolly!”, complete with its original leading lady, Carol Channing, which reached Broadway in October 1995. Two months later, Herman’s personal favorite of all his own shows, “Mack & Mabel,” made its West End debut. Herman’s “dry” spell finally came to an end in December 1996, when the two-hour musical, MRS. SANTA CLAUS, was transmitted on CBS television. The composer’s first creative contribution to the medium, it starred the original Auntie Mame, Angela Lansbury. Among the highlights of Herman’s score were “Almost Young,” “We Don’t Go Together,” “He Needs Me,” “Avenue A,” and “Whistle.” There was no mention of his recent triple bypass and other health problems when in 1998 Herman was joined by old friends Lee Roy Reams and Florence Lacey on stage at the Booth Theater in New York, playing and singing a mixture of his familiar and not so well-known songs, in “An Evening With Jerry Herman.” Also in 1998, another celebratory revue, “The Best of Times,” was presented at the Bridewell and Vaudeville theaters in London. Although a generation removed from the past masters of the American musical theater — whom he admires so much — Herman’s style adheres closely to the earlier formulae and he brings to his best work a richness sadly lacking in that of many of his contemporaries.